The Catalonian leader Carles Puigdemont and four associates have turned themselves into Belgian police. It follows an international arrest warrant issued by spain for sedition, rebellion, misuse of public funds and breach of trust in relation to Catalonia’s independence campaign. A spokesman for the prosecutor, Gilles Dejemeppe said the five handed themselves in to the authorities at the main police station in Brussels. He added that they were given the arrest warrant and this allowed them to try to understand what Spain accuses them of. They were able to consult their lawyers and then deprived of liberty. He said they came to the public prosecutor’s building, because the instruction judge’s office was there. “The investigating judge has several possibilities. He may not execute the arrest warrant, he may release them on condition of bail, or even send them to prison,” Mr Dejemeppe explained. The latter case appears to be highly unlikely, and it would trigger a diplomatic crisis between Spain and Belgium. 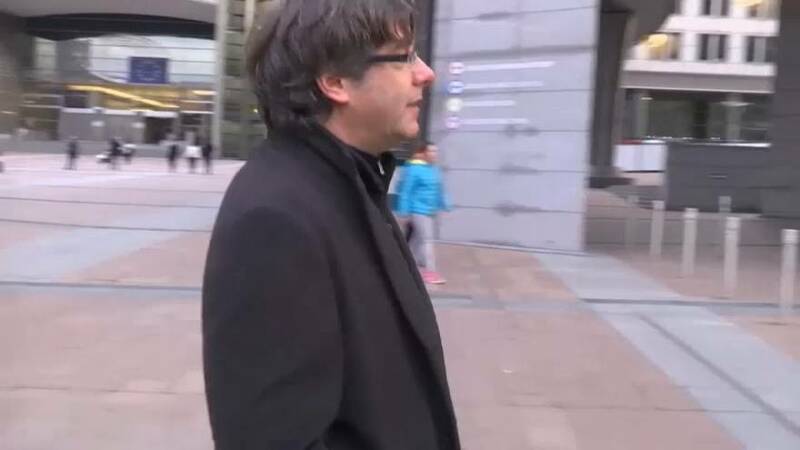 Carles Puigdemont and the four former councillors will remain in the Brussel’s prosecutor’s building for questioning. The examining judge has to listen to them separately, in the presence of their lawyers and interpreters. They will be detained for an initial 24-hour period while Belgian justice decides how to proceed. The deadline for the judicial decision is 9.17 on Monday morning.